It is never an easy decision to make. Although music is indisputably one of the most important aspects of a wedding celebration, choosing how to provide it—not to mention music that best fits the mood—can be difficult. The obvious selling point of the wedding band is the live performance. It can synergize with the atmosphere of the crowd, thus never feeling musically out of step. As a result, the band gives the reception the touch of sophistication and elegance, with trained musicians having the full ability to heighten the excitement or cool it down when necessary. But keep in mind; bands need to take breaks in order to stay fresh. The other down side to having a wedding band is that they don’t usually have a professional emcee. Without a professional emcee your wedding reception can seem unorganized and may seem like it is dragging. DJs are less expensive—in a good way. Getting a professional DJ to perform at your wedding reception is relatively inexpensive. When you think about your total budget, you should allocate 10-15% toward your DJ services. Most couples only budget $1500 or less, which may not be enough! Plus, a trained DJ is more than just a music provider. Add some outstanding emcee skills and professional training and the party is guaranteed to go all night long. While interacting with the guests, the DJ can encourage people to dance or have fun, inject reasonable ad-libs to certain tracks or get a call-and-response chant going. It is also a huge plus that the DJ, with a catalog of songs from all over the place, has a wider range of musical styles at his or her disposal. Ultimately, the choice is yours. Before you make your decision, consider a number of factors, such as the type of music you and your spouse (and possibly your guests) like, the amount of hall space for the reception, and how much you are willing to spend for entertainment. Also, in addition to interviewing the band or DJ, you can ask if they have a back up plan for your special day and if they have the proper insurance to play at your venue. These things can help you make the best decision in choosing the right person for the job. No matter if you chose a band or a professional wedding DJ, your choice will play a big part in how successful your reception turns out to be. Make sure you make a decision that guarantees your reception will be a hit with you and your guests by hiring the Pittsburgh DJ services of Steel City DJ. Our team of Professionally Trained Pittsburgh DJs really know how to get the party started, giving your reception that little something special to truly make it a night to remember! Discover why so many of our clients and their guests simply can’t stop raving about us. 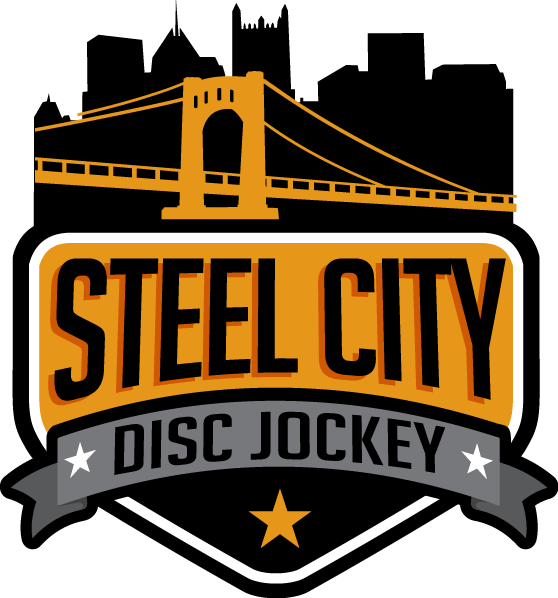 Book your Pittsburgh DJ services with Steel City DJ and let us add something special to your big day.